The importance of compliance cannot be overstated as the global financial services industry moves into an era of increased regulation and heightened security tensions. 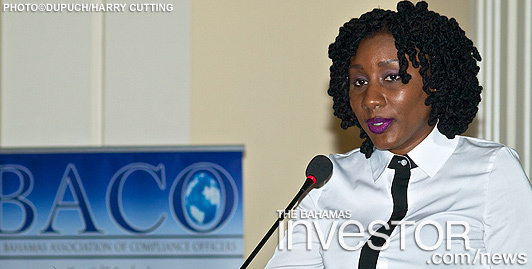 This was the message from the Bahamas Association of Compliance Officers (BACO) as it held its annual Money Laundering Reporting Officers Day (MLRO) at the British Colonial Hilton, Nassau yesterday. Speakers at the event included national anti-money laundering (AML) & risk coordinator Stephen Thompson, who is guiding the government’s strategy on AML and spearheading the efforts towards drawing up a National Risk Assessment. Former executive director of the Securities Commission, Dave Smith, also spoke at the conference, noting the “evolving landscape” of regulation and saying that new rules, guidelines and standards would elevate the role of compliance officers. Also addressing attendees was senior manager, legal department at the Ministry of Tourism, Vivienne Dean (pictured, top), who spoke on behalf of Minister of Tourism and Gaming Obediah Wilchcombe about the new gaming legislation and the need for trained compliance officers within gaming institutions once the domestic industry is legalized. The new gaming legislation will provide for a domestic industry, as well as allowing existing casinos to expand their product offering to include mobile gaming from a user’s personal device. 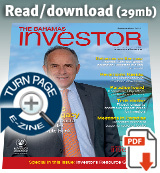 The legislation was tabled in parliament at the beginning of September and is currently being debated. BACO’s MLRO Day also included sessions on FATCA, cyber crime and enhanced due diligence.